A couple of South African golfers appeal at three-digit odds to take out the Africa Open at the East London Golf Club. 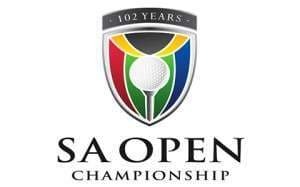 South African golfers have won all six previous editions of the African Open, which has been a European Tour event since 2010, thereby ensuring that a high-quality field tees it up. The African Open honour roll includes some of South African golf’s biggest names, with previous winners including Retief Goosen, Louis Oosthuizen and Charl Schwartzel. None of those three golfers is among this year’s entries, with bookmakers settling upon Thomas Aiken as the African Open favourite. Lyle Rowe is the first Africa Open outsider in which one should be interested. Rowe is available at odds of 251.00 with 888sport. Rowe’s odds have halved since the first set of Africa Open markets went up but the South African remains overpriced based on his past performances in the event. Rowe has participated in each of the last two Africa Opens. Two years ago Rowe debuted and finished in eighth position, bouncing back from a disastrous opening round of 73 to fire two rounds of 68 and one round of 65. If the 2012 Africa Open had been played over three rounds and the scores of the real first round did not count, Rowe would have finished in fifth place, five shots behind Oosthuizen. And Rowe proved that his 2012 Africa Open effort was not a fluke 12 months later, again making light of a poor opening round to end up in 22nd spot. Rowe shot rounds of 74, 67, 71 and 71 again. East London is not home to Rowe but Port Elizabeth, another city in South Africa’s Eastern Cape province, is where the 26-year-old kicks back away from the pressures of golf. Rowe missed the cut in last week’s Joburg Open but not before he fired a second-round 66. Unfortunately, Rowe made a mess of his first round at the Royal Johannesburg and Kensington Golf Club. Inconsistency is why Rowe is such long odds to win the Africa Open but, if he strings together four of his good rounds on a course that he likes, watch out for him. The other Africa Open outsider that leaps off the long list of hopefuls is Peter Karmis, who is trading at the massive odds of 301.00 with Betfred. Karmis has made only one Africa Open appearance and that was in 2012 when he made the top 10. Karmis was a model of consistency, shooting rounds of 68, 70, 69 and 68 to demonstrate that he enjoys hitting balls around the East London Golf Club track. Karmis boasts the second-best East London Golf Club average round score among this year’s Africa Open competitors, with only Gregory Bourdy having a lower mean. Bourdy’s odds reflect his position as one of the Africa Open favourites, whereas Karmis is one of the rags, according to bookmakers. The winner of three professional tournaments, including the 2010 ISPS Handa Singapore Classic on the Asian Tour, Karmis placed 22nd in last week’s Joburg Open in what was one of his better showings in recent times. One does not get a rock-solid chance at odds of 301.00 but there are grounds for thinking that bookmakers are underestimating Karmis. If one wants to take a more conservative – perhaps realistic – approach to the Africa Open then one could back Rowe and Karmis to post high finishes without winning the event. In top-10 markets, Rowe is 21.00 with Stan James and Karmis is 26.00 with Betfred. And in top-20 markets, Rowe is 8.00 with BetVictor and Karmis is the same odds with Ladbrokes and Sky Bet. Certainly the bets at odds of 8.00 respectively stand a great chance of producing a return.